NABE has just updated its website. You are invited to visit at www.nabe.org and like us on Facebook! Please share your ideas, suggestions and insights as they are always welcomed. The NABE Board of Directors held its annual planning and reorganization meeting on July 8 & 9 2017 prior to the opening of the Third Annual NABE Dual Language Summer Symposium at the Delray Beach Marriott Hotel, FL. The Board acknowledged the contributions and leadership of three outgoing board members and swore in the newly elected members. Following the swearing-in ceremony of the new Board Members, the following members were elected by their peers to serve for the 2017/18 year as the Executive Officers of the Board. The Board also re-appointed Myrna Reyna of Dallas to serve a new 2-year term as the Parent Representative. 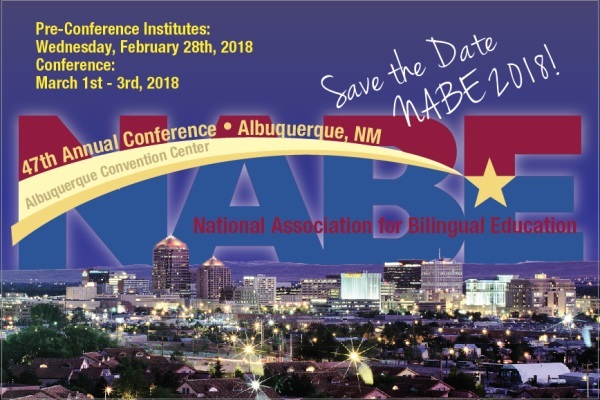 The Board established September 28 & 29 at the Albuquerque Convention Center as the site visitation and conference planning summit for NABE 2018 Conference. Other significant actions taken by the board included selection of a 2018 Conference Theme: Resisting Inequity: Language as Power and Right! ; approved a list of Keynote Speakers and discussed Featured Presentations and Awards; approved the NABE Bilingual Education Standards; approved a Proposal to Package the NJRP with the BRJ for 2019; adopted the changes in the Bylaws; first reading on the Partnership Agreements with Asia Society on education in Beijing. Dr. Tinajero presented the Treasurers report which showed that NABE has a strong financial position and is continuing to implement cost improvements and cost savings and investments strategies beneficial to the organization. Houghton Mifflin Harcourt's Escalate English is a language development program designed to help long-term English learners in grades 4–8. Through our language-rich and intellectually challenging experiences, students will increase their proficiency and accelerate their mastery of the academic English language. Sign up today for full 120-day program experience. Free Access to Bilingual Research Journal Richard Ruiz Special Issue. Educators from all over the Pacific Region will be in attendance.